Vaptio S150 Kit is a perfect combination of S150 MOD and S150 ATC Tank. With a build-in sensor, S150 offers a accurate temperature control to you. With Vaptio S150, you'll enjoy a remarkable vaping experience. 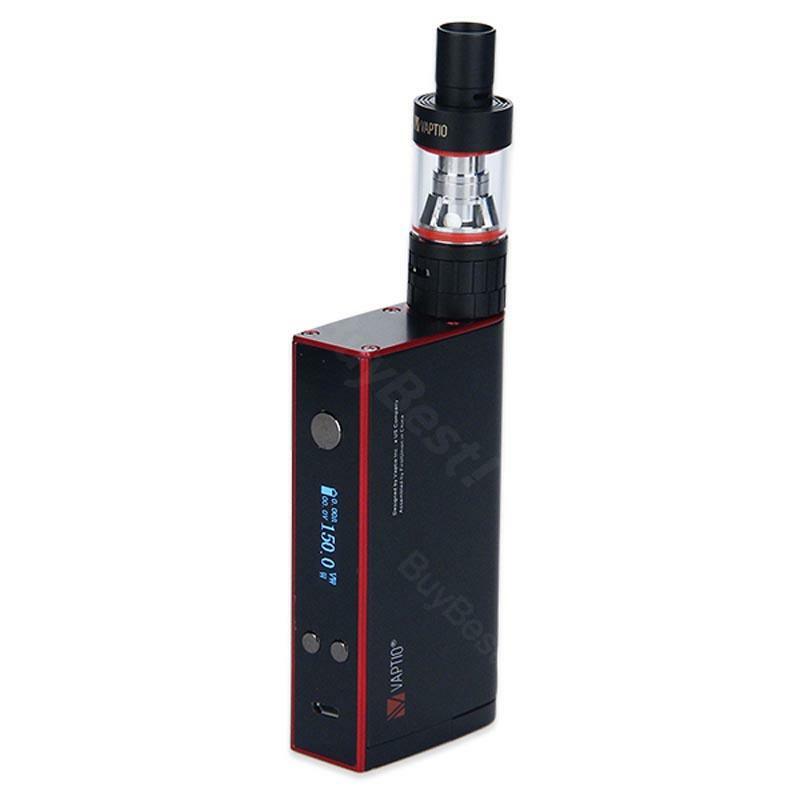 Vaptio S150 ATC Kit is a perfect combination of S150 TC MOD and S150 ATC Tank. With a built-in sensor, S150 offers a accurate temperature control (ATC) to you. With Vaptio S150, you'll enjoy a remarkable vaping experience. Turn On/Off: click the fire button 5 times within 2s to lock/unlock the device. Reset the Puff Count: press the FIRE button, "+" and "-" at the same time for 1s to reset the puff count or for 6s to restore the factory default settings. Mode Switch: press the FIRE button and the "+" simultaneously for 2s to switch between the temperature control mode and the wattage adjustment mode. Lock "+" and "-" Function: press the "+" and "-" simultaneously for 2s to lock/unlock "+" and "-" function. Temperature Unit Switch: press the FIRE button and "-" simultaneously for 2s to switch the temperature unit between Fahrenheit and Centigrade. Airflow Adjustment: rotate the airflow-adjustment ring to increase or decrease the amount of inhaled air. • The S150 MOD doesn't have a battery cell. You can buy 18650 batteries. • The ATC tank doesn't include e-juice. You can buy it separately. S150 kit, very nice temp control and easy to use. I recommend it. Overall a solid vape kit. Vaption S150 looks nice. I love both the tank and the mod. Big led screen, easy operation, top refill. Do remember to get external battery cell. My cousin has a Vaptio S150 and he speaks highly of this device. I ordered it for myself, turns out I'm so pleased! Nice apperance, flavor and cloud as well.